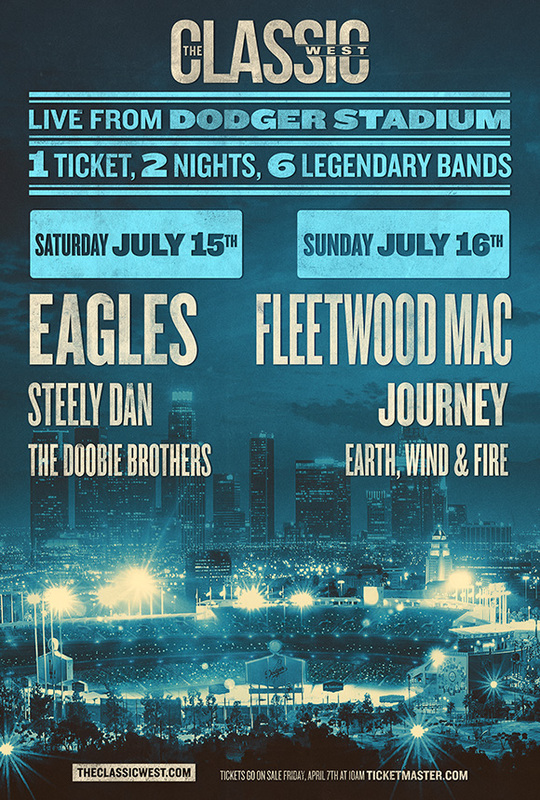 The Eagles and Fleetwood Mac will headline two of the most anticipated festival events this summer – The Classic West on July 15-16 at Dodger Stadium in Los Angeles, and The Classic East on July 29-30 at Citi Field in New York. 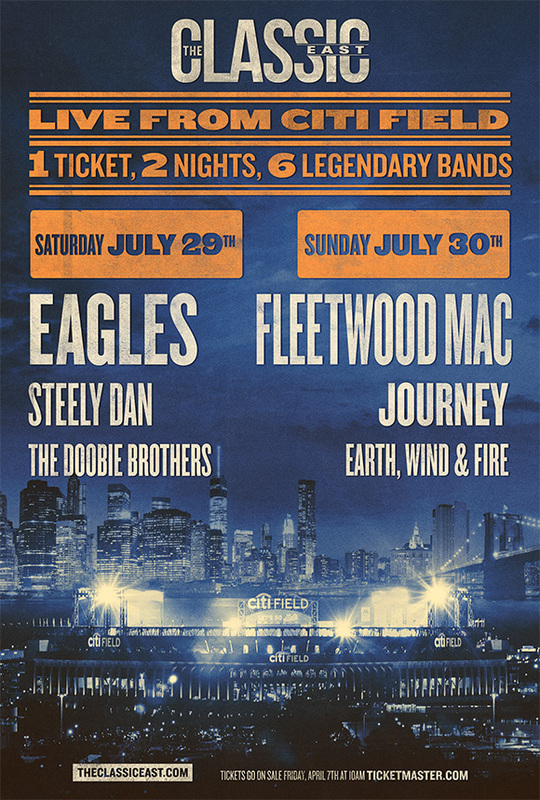 The Classic West and The Classic East festivals will be the first time in history that these six esteemed artists have ever played together on the same stage in two of America’s greatest cities for rock & roll. For more information visit theclassic.com. Hey Joe! Thanks for rockin OKC last night. Great show. Those of you that have tickets to the Walsh/Petty concerts are in for a treat.